Criticism of the IDF does not detract from the absolute obligation to enlist. Q: From the article on the problems of modesty in the army, it seems you understand that the Haredi public is right not to enlist – why do you not teach this to your students? Not only did you not reach the obvious conclusion, you raised the fear that if the problems were not solved, then there would be religious people who would move over to the haredi public. Is this a problem? Is it not better that they do so? A: The Jewish nation in the Diaspora, with the guidance of the Torah of chutz l’aretz (Diaspora), deals in survival. However, the proper way is to immigrate to Israel and live there within a national framework, according to the Torah in its entirety, which guides the people of Israel to conquer and settle the Land. To this end, we must establish a state and an army and act in all spheres of life – including all fields of science and labor – in the light of our holy Torah. This is the way of the Torah of the Land of Israel, which is the essence of the Torah. Therefore, returning to the ways of the haredi life constitutes a return to exile, and the lowering of the Torah to the realm of survival, rather than raising it to the great vision of the revelation of the Divine blessing over the ‘Land of Life’. One can understand the haredi public and its rabbis, fearing that the difficult and complex struggle with all the challenges that earthly life poses they prefer to ‘fence themselves in’, and excel in the ‘daled amot’ (four handbreadths) of the familiar Torah of chutz l’aretz. However, we believe that with all the necessary caution, we must study the Torah in its entirety, and strive to fulfill all its commandments. Therefore, despite all the justified criticisms of the army, as long as it is not a matter of coercion to do things in complete contradiction to halakha, the mitzvah of army service overrides, and conversely, the denial of the IDF constitutes a serious offense. This is what we learned in the Torah about all aspects of life, that one is not told to refrain from going to work and raising a family and children because of the various trials and difficulties involved; rather, a person is guided to cope with the difficulties, taught what to do in ideal situations, and how to react in problematic circumstances. As it is explained in the Torah, it is only in the Land of Israel that the people of Israel must observe the Torah, as it is stated: ” [You must do this] because you are crossing the Jordan to come to the land which God your Lord is giving you and occupy it. When you have occupied it and you live there you must carefully keep all the rules and laws that I am prescribing to you today. These are the rules and laws that you must carefully keep in the land that God, Lord of your fathers, is giving you so that you will be able to occupy it as long as you live on earth: (Deuteronomy 11:31-32; 12:1). On the other hand, however, it is written “Be careful that your heart not be tempted to go astray and worship other gods, bowing down to them. God’s anger will then be directed against you .And you shall soon be destroyed from the good land which God gives you… and you will rapidly vanish from the good land that God is giving you. (Nevertheless, even when you are in exile): Place these words of mine on your heart and soul. Bind them as a sign on your arm, and let them be an insignia in the center of your head” (Deuteronomy 11:16-18). As our Sages said (Sifrei, Ekev 37):”Even after you have been exiled, make yourselves distinctive with My commandments so they will not be new to you when you return. This is similar to a king who was angry at his wife, and she returned to her father’s house. The king said to her: Continue wearing your jewelry, so that when you return, they won’t be new to you. Thus the Holy One blessed be He said to Israel: My sons, make yourselves distinctive with the commandments, so that when you return, they will not be new to you. This is what Yirmiyahu said: “Set up markers for yourself” (Jeremiah 31:20) (as in Rashi, Deuteronomy 11:18). From this we see that the essence of the observance of Torah and mitzvot is in the Land of Israel, as explained by Ramban (Leviticus 18:25). Moreover, our Sages said: “Whoever lives outside the Land may be regarded as one who worships idols” (Ketubot 110b). Our Sages also said: “Settling the Land of Israel is equivalent to all the mitzvot in the Torah” (Tosefta, Avodah Zara 4:3; Sifrei, Re’eh 53). Godliness is revealed in all aspects of spiritual and physical life. As our Sages said: What short text is there upon which all the essential principles of the Torah depend? “In all your ways acknowledge Him” (Proverbs 3: 6) [Berakhot 63a]. Everything has value, in every area one must reveal the sanctity and the blessing. For this purpose, the Holy Land was created, in which we can reveal the values ​​of holiness in earthly life. And the revelation of the sacred will be in all spheres of life without exception: in science and all its fields, in the development of industry and economy in all areas that are advantageous and beneficial to life, in the arts and all of its manifestations – and all this out of faith, and in order to add Divine blessing from the holy source. 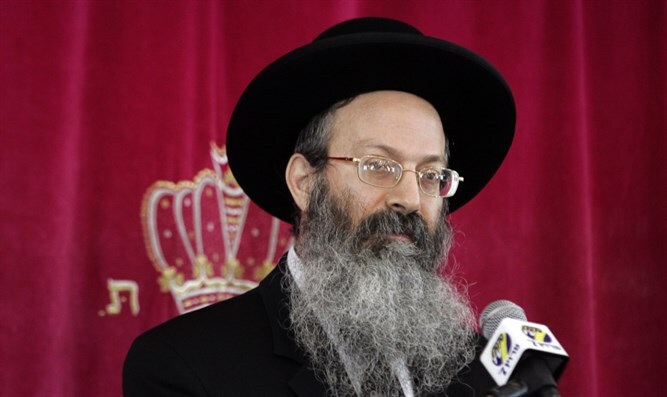 Maran HaRav Kook ztz”l wrote: “The holiness in nature is the holiness of Eretz Yisrael, and the Divine Presence which descended to Exile along with Israel, is the ability to place holiness in contrast to nature. But the holiness which fights against nature is not a complete holiness” (Orot HaTechiya 28). In other words, there is a great deal of value to the sanctity that is revealed in the Diaspora, which the haredi public deals with, because out of this sanctity rises criticism about all the shortcomings to be found in nature and reality. But criticism is not sufficient to correct reality and reveal the word of God. 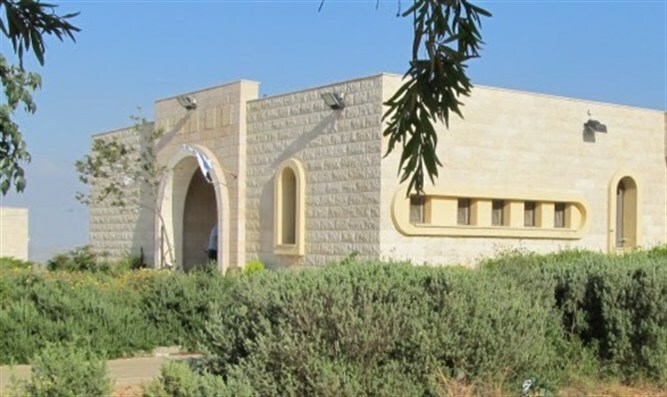 Therefore, it must join the supreme holiness, “which is the holiness of nature itself … and the holiness in the Diaspora will be connected to the Holy Land, and in the future, the synagogues and learning halls in Bavel will be established in the Land of Israel” (this matter is explained in detail in the new book published by my good friend Rabbi Ze’ev Sultanovitch on ‘Orot HaTechiya’). The Torah teaches us that if we follow in the ways of Hashem we will merit abundant good and blessing, which will reach us naturally. Part of our work in the study of Torah is to explain logically how the observance of the Torah and mitzvot gives value and meaning to every area of life, and thus, receives blessing. Even if it is a gain expressed by every individual by just a few percentage points, when talking about an entire public living according to the light of the Torah, each person has an effect on his fellow neighbor to multiply blessings and good, until a model society is established, finding itself a few levels above any other society. In other words, if we understand the Torah correctly, we will have a greater understanding of the value of learning in general, and the development of science in particular (as explained by Maimonides, the Vilna Ga’on, and many more), and our children will, on average, achieve better scholastic achievements beyond the norm in developed countries. Thanks to the recognition of the value of work and the contribution to tikkun olam, we will be slightly more focused on the acquisition of a quality and beneficial profession, and on average, will reach a slightly better level than the norm in the developed countries. Thanks to setting times for Torah study each week, and especially on Shabbat, we will merit receiving slightly more inspiration in development and creativity. Thanks to modesty and frugality, each individual, relative to what the amount of money he has, will have the ability to spend more years studying a profession or science, so that more managers will become engineers, and more engineers will become researchers, and the quality of their work will be improved. Thanks to family values, more families will live with love and joy, and will be able to raise more children to Torah and mitzvot, and all other good deeds. And thanks to the greater willingness to contribute to the nation in the army and in settlement, the security situation of the state will improve, and even this improvement will, of course, affect all other areas. However, because of the erroneous position of the haredi sector, which rejects the mitzvah to enlist in the defense of the nation and the building of the land, and which denies, to a greater or lesser extent – science, work, freedom and creativity – much of this blessing is lost. The religious public loyal to the Torah, to the nation, and to the country is today the qualitative nucleus that expresses the totality of Torah values, which is the Torah of life, and therefore it is possible to find within it buds of the fulfillment of the blessing written in the Torah. Indeed, the road is still full of obstacles and trials, but the general direction is correct, and overall, the result is positive – time will tell. If we merit continuing to rise and advance in the path of the Torah of the Land of Israel, and serve as an example of moral, social and economic success – naturally, the masses of the House of Israel will come closer to the path of Torah and mitzvot in its entirety, and we will merit establishing a model society, where Torah and morality direct its life, and then, all the blessings written in the Torah will be fulfilled in us. Thanks to diligence and creativity at work, our annual GNP will be higher than that of other Western countries – assuming only 5 percent on average, and demographic growth will continue as it is in religious society – and then, within a few generations, the Jewish nation residing in its Land will number tens of millions, and lead the world in terms of values, science, and economics. The Jews of the Diaspora will be eager to immigrate and join the success, and even those “lost in the land of Assyria, and those in the land of Egypt” will seek to clarify their roots and return to their people and their land. And a great and immense nation will herald faith and justice in the world, pave the way for moral education and intellectual development for the benefit of humanity, and innovate methods and technologies for longevity and quality of life. Thus we will naturally see the fulfillment of the vision of the prophets: “In the last days the mountain of the Hashem’s temple will be established as the highest of the mountains; it will be exalted above the hills, and all nations will stream to it.Many peoples will come and say, “Come, let us go up to the mountain of the Hashem, to the temple of the God of Jacob. He will teach us his ways, so that we may walk in his paths. ”The Torah will go out from Zion, and the word of Hashem from Jerusalem” (Isaiah 2:2-4). This article appears in the ‘Besheva’ newspaper, and was translated from Hebrew.